HTC has launched it brand new HTC 10 evo smartphone in Taiwan, Pre-orders are going HTC 10 evo shipping starts from November 28 in Taiwan. HTC 10 evo available in two different variants in Taiwan 32GB Internal Storage paired with 3GB of RAM and 64GB Internal Storage which can be expandable up to 2TB Via SDcard slot paired with 3GB of RAM. 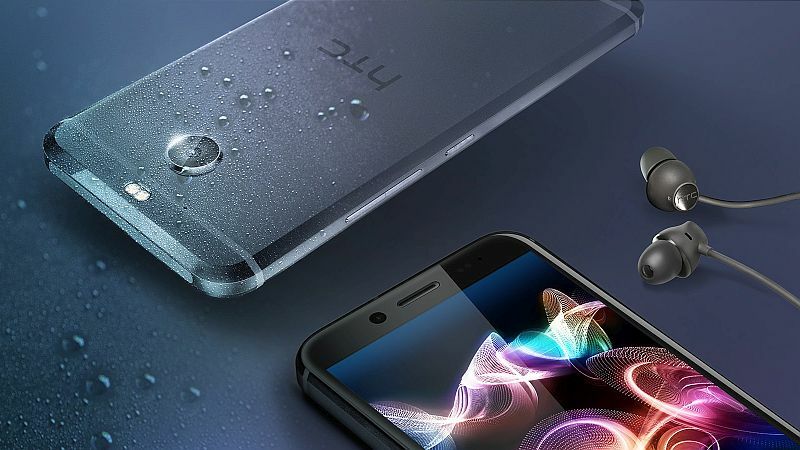 HTC 10 evo has 5.5 Inch QHD display with Corning Gorilla Glass 5 protection with the resolutions of 1440×2560 pixels. HTC 10 evo comes with the platform of Android 7.0 (Nougat) powered by Qualcomm Snapdragon 810 processor which is paired with 3GB of RAM. The Primary Camera is 16MP with OIS, PDAF, 4K Video capturing and Secondary Camera is 8MP for selfies. HTC 10 evo has 3200mAH battery with Qualcomm Quick charge 2.0 fast charging technology which delivers long battery life. HTC 10 evo smartphone has Google DUO Pre-Loaded app and it is also intergarated with Google Photo app where you can save unlimited photo. HTC 10 evo finishied with BoomSound adaptive audio which deliverys the quality sound and it is Water resistance. HTC 10 evo has Fingerprinter Scaneer which takes 0.2 Seconds to unclok the phone. HTC 10 evo is available in Three different color variants Gunmetal, Sliver and Gold in colors. But in India HTC 10 evo is available in Pearl Gold color with 32GB Internal Stoarge. Coming to the product price is Rs.48,990 only. Tags: HTC Bolt, HTC HTC U Ultra, HTC Desire 650.